The festive season is finally here, which means it’s time to kick back, relax and watch a film. Luckily for us, BLAZE has a thrilling lineup of some of our old favourites to get us pumped for the holiday season. Every evening from December 24 to December 29, BLAZE is broadcasting one classic film at 10pm. Excited yet? Check out what’s on below! After US soldier Luc Devreux (Jean Claude Van Damme) is killed in the Vietnam War, his body is cryogenically frozen and shipped to a top secret facility which uses the bodies of deceased fighters to create ‘super soldiers’. However, when Devreux begins having flashbacks to his former life, he teams up with TV reporter Veronica Roberts in attempt to flee the Universal Soldier programme and his revived former enemy. 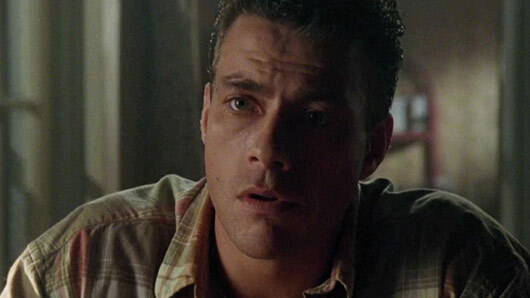 Jean Claude Van Damme plays a convict, Sam Gillen, who takes on two ruthless property developers who are determined to evict a young widow and her kids from their home in a bid to secure her land. However, his good deeds may be thwarted when his true identity is revealed. Known by locals as ‘The Lady’, Ellen (Sharon Stone) is a gunfighter who holds a dark secret unbeknownst to anyone. When she decides to compete in a gun competition shortly after her arrival in the frontier town of Redemption, the competition takes a sinister turn no one could have imagined. Arnold Schwarzenegger stars as Adam Gibson, a family man who returns home to discover he has been replaced by a clone, in this futuristic action thriller. As Gibson struggles to reclaim his family and his identity, he is attacked by a group who want him dead – but why? This all-star Western follows four men who travel to Silverado, encountering several injustices along the way. After they part ways, their lives are entwined once more as one by one they return to the small town to each defeat their own personal enemies. Action comedy Double Team follows retired anti-terrorist agent Jack Quinn (Jean Claude Van Damme) as he learns his old nemesis Stavros is causing trouble once more. Forced back to duty, Quinn teams up with a quirky arms dealer called Yaz to eliminate the threat. Movies at 10pm start on December 24 on BLAZE (Freeview 63).